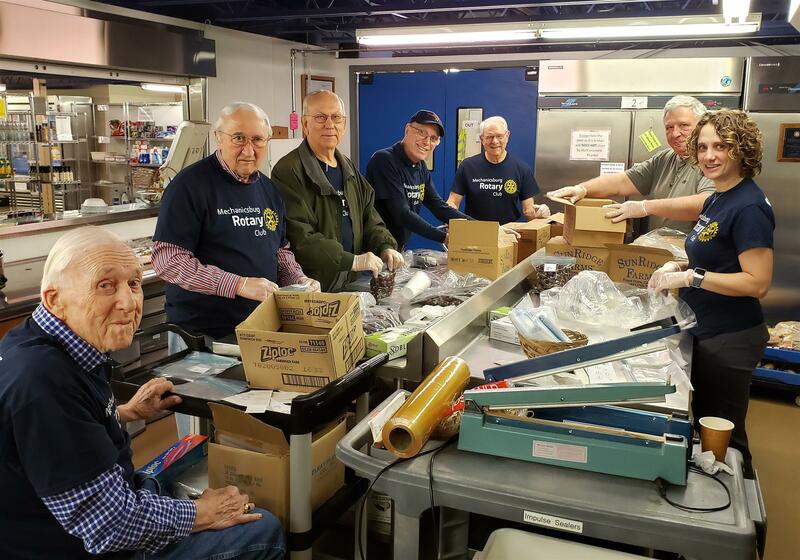 Several members of the Rotary Club of Mechanicsburg help out at New Hope Ministries on April 10 in the day of service. (L to R): Whitey Brownawell, Bob Hamilton, Darrell Westby, Phil Fogarty, Dave Burns, Mike Malpezzi, and Amy Bockis. Not pictured: Tom Burson and Mike Ginder (student of the month from November 2018). The Rotary Club of Mechanicsburg is doing a day of service in April. This month was at New Hope Ministries (NHM) in Mechanicsburg where club members repackaged candy and other items from larger containers into smaller sizes for distribution the NHM clients. New Hope Ministries is a food pantry and provides many other services to help people in need. More can be found at their website.